It did not appear to be operating while we walked by in June 2016, and this article indicates that its demise was expected imminently in March 2015. 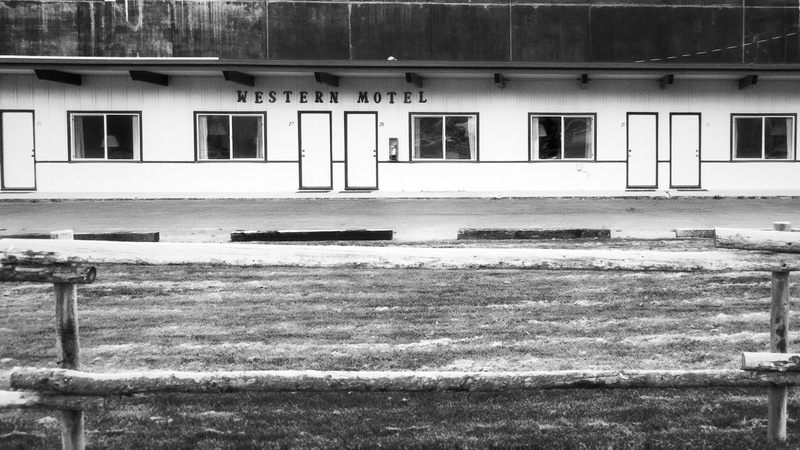 That link also has some nice history on the Western Motel in Jackson, Wyoming. I have no idea why the building lasted more than another year, or whether it still stands now. The building rising behind it was under construction, so you might have expected it t have been torn down by then. In any event, I’m glad it lasted long enough for me to get a view and capture this image..